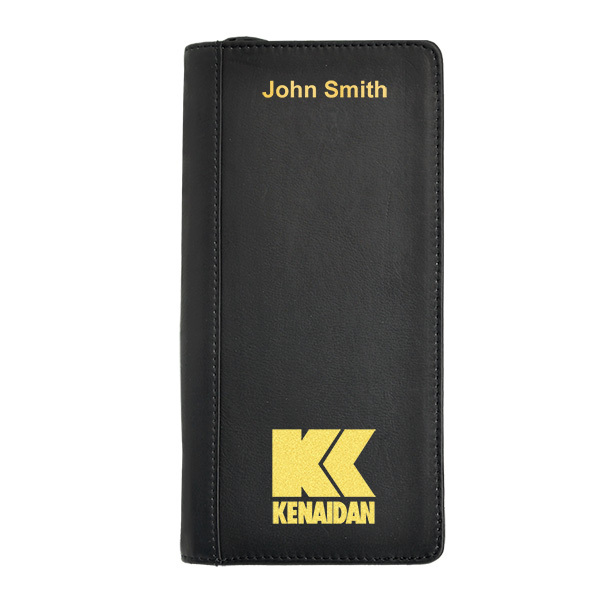 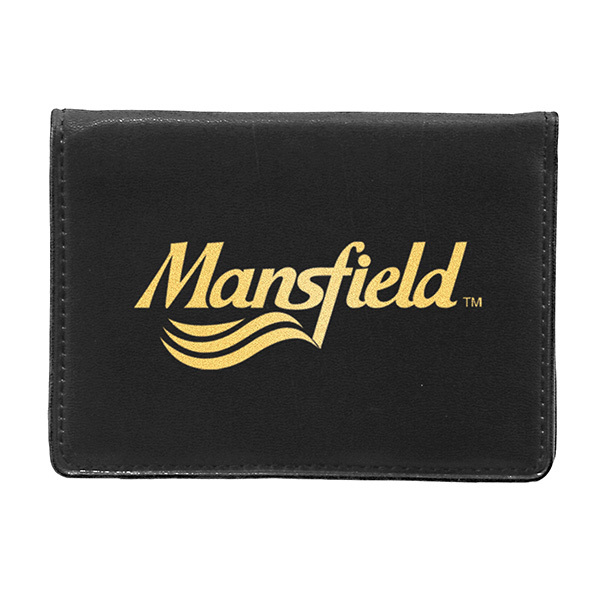 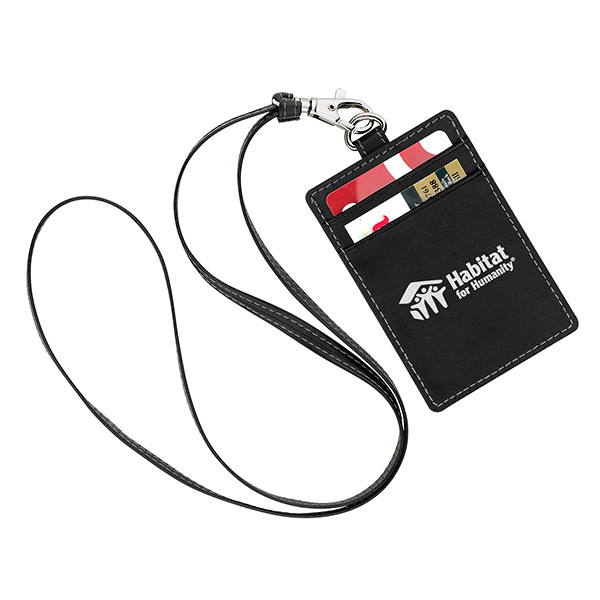 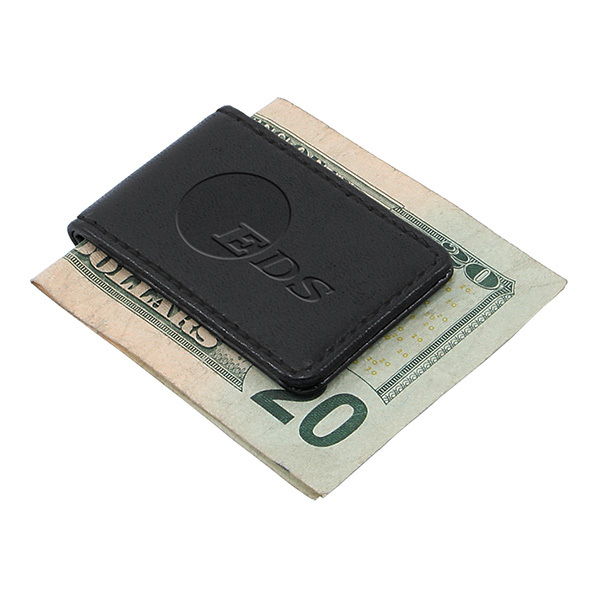 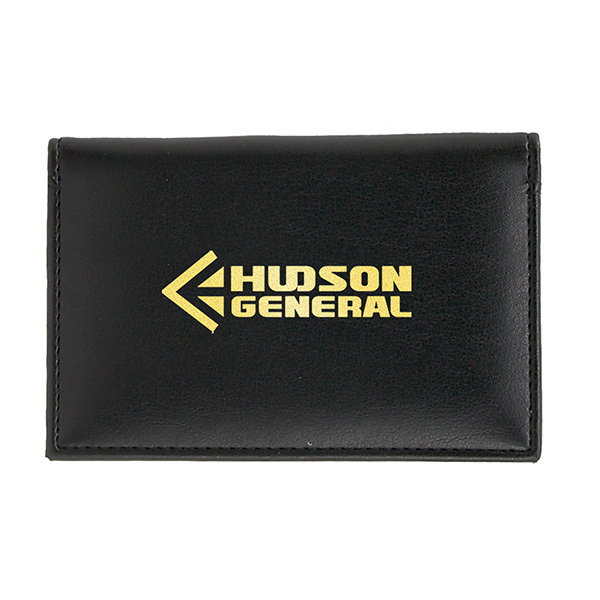 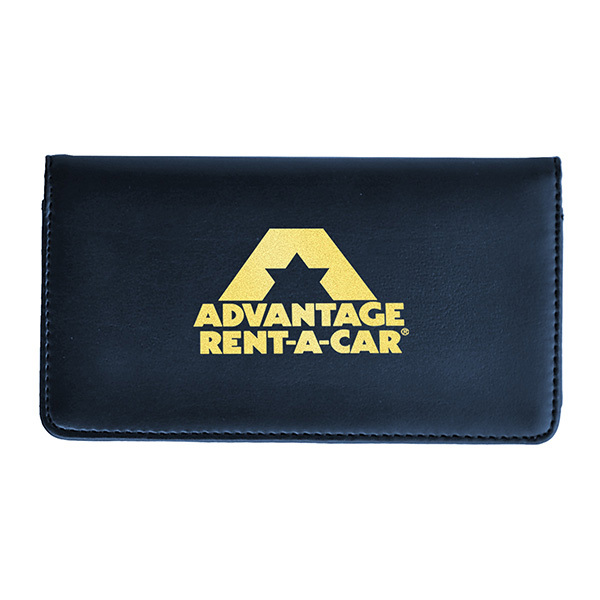 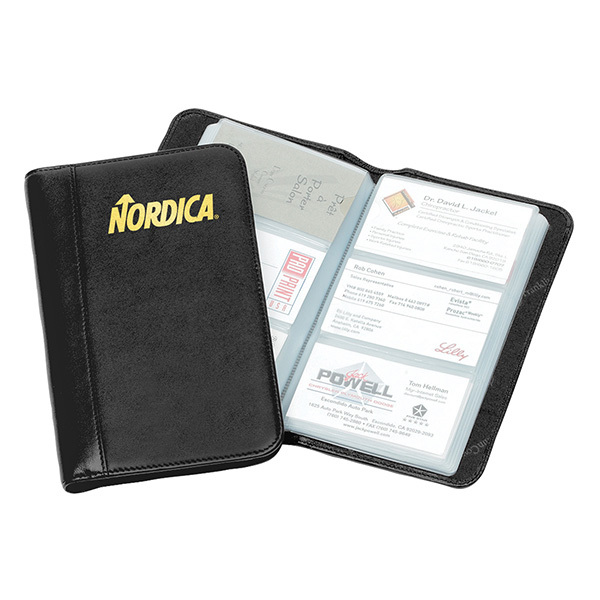 Your clients will love getting this deluxe checkbook cover / check wallet from you! 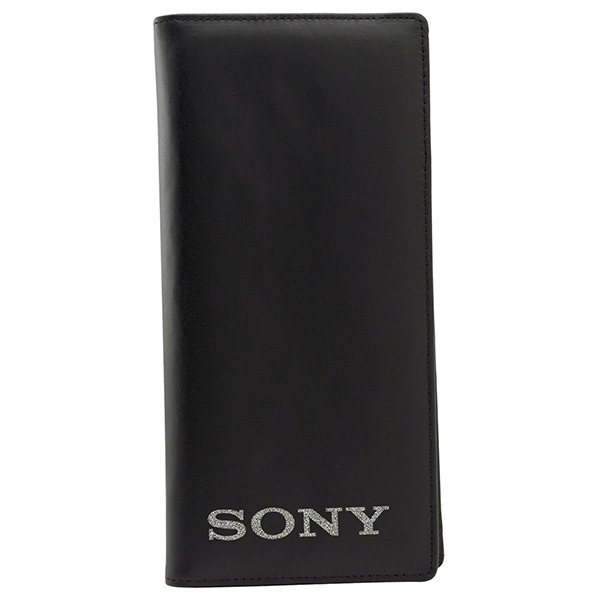 It’s made of Nappa leatherette and features double turned French edge styling. 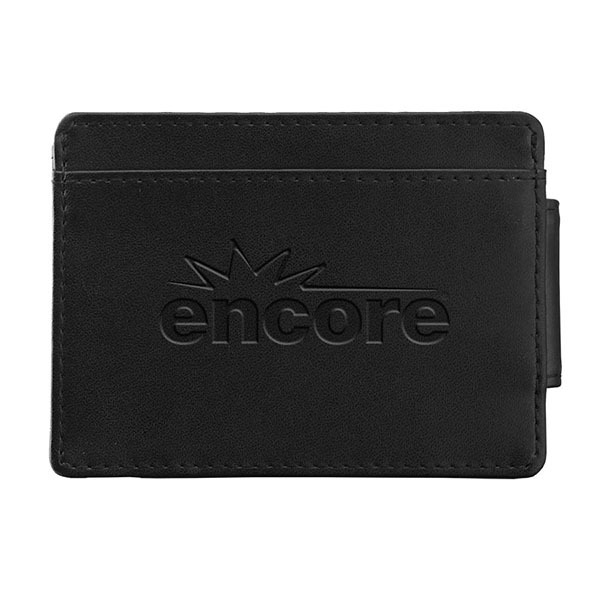 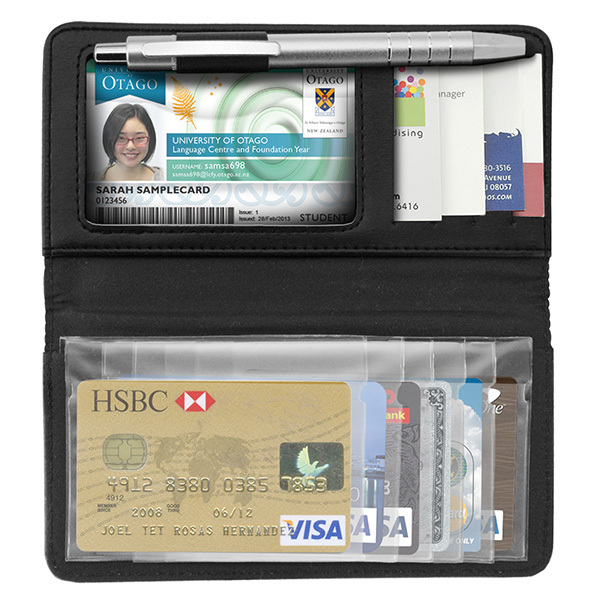 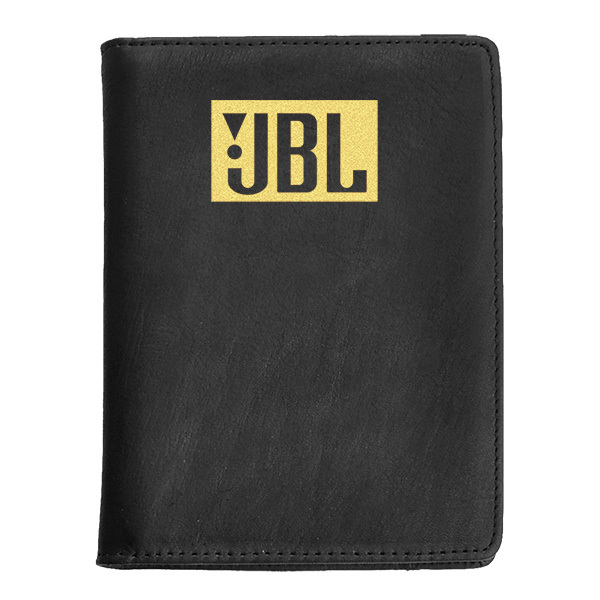 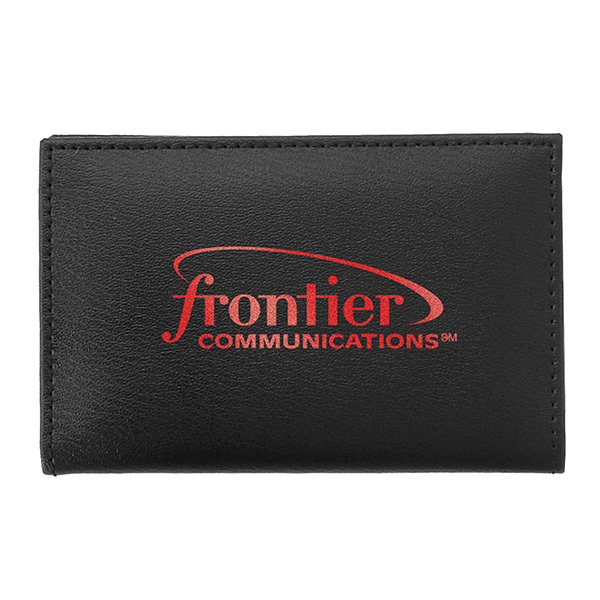 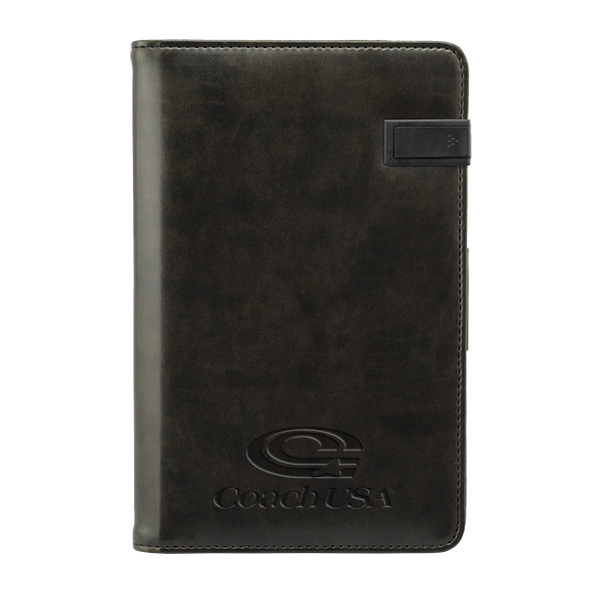 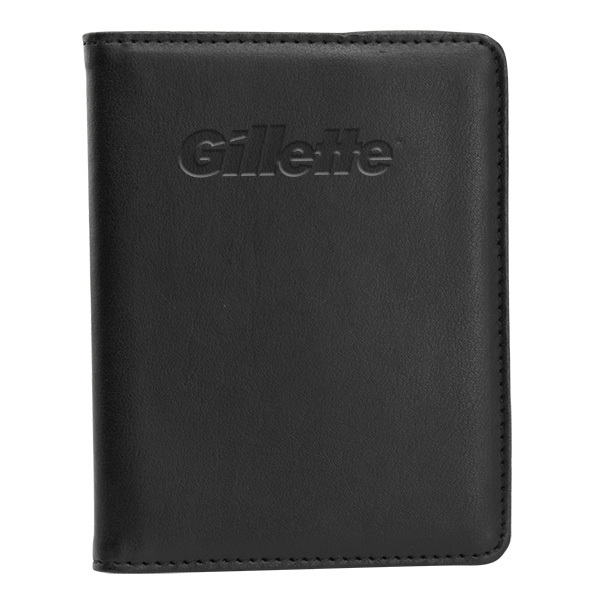 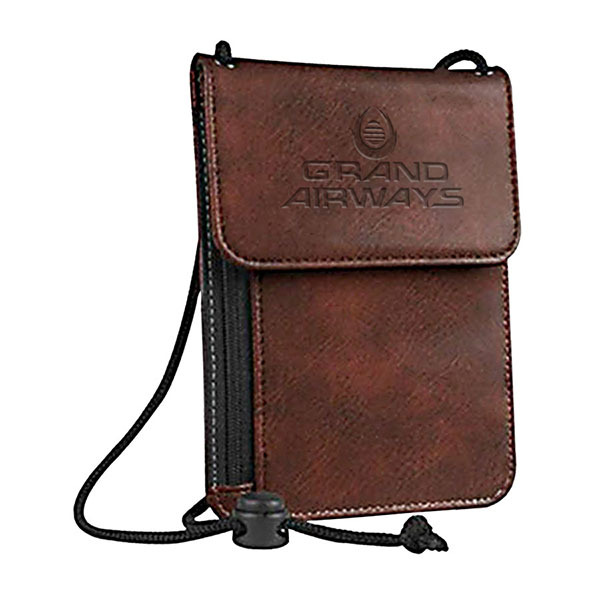 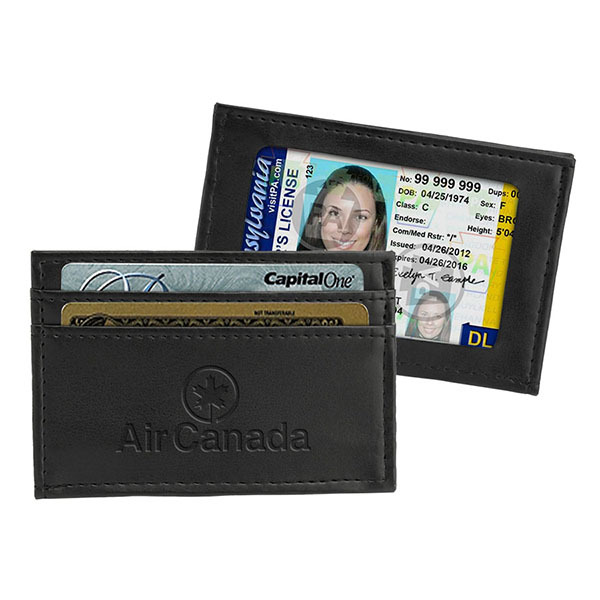 This also has 4 credit card pockets, a clear ID window, removable card file system, and a pen loop with microfiber lining. 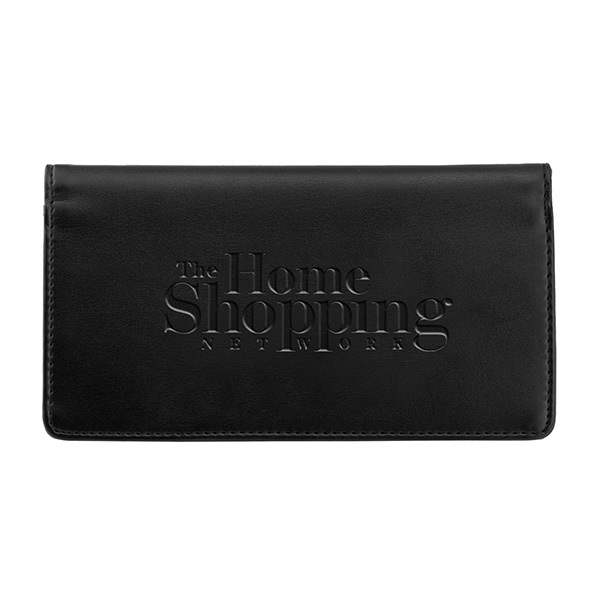 This comes in black or navy blue and is perfect for those moments when you’re making a big purchase. 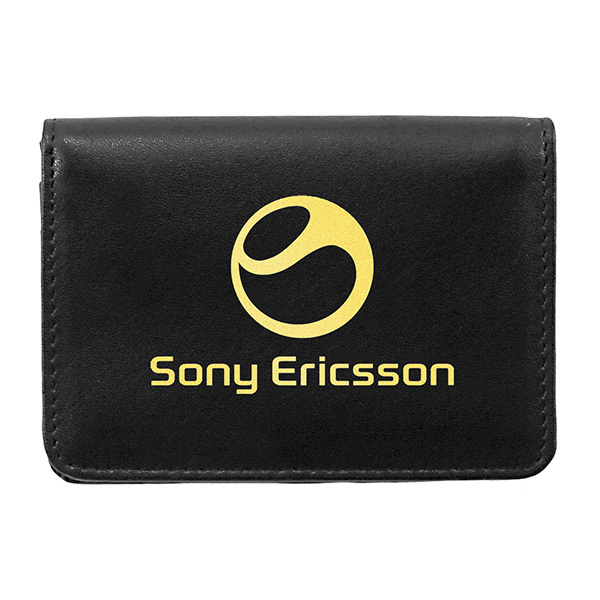 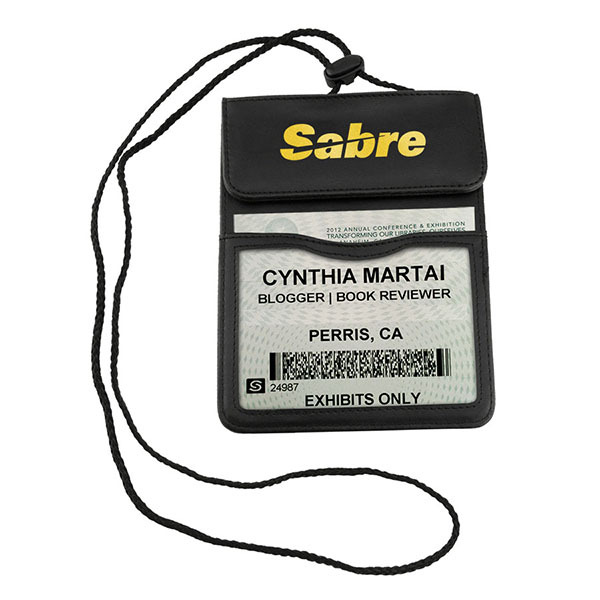 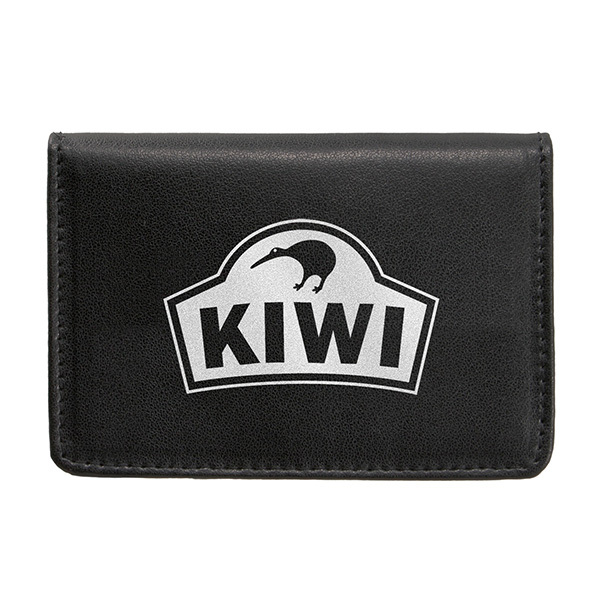 Add your logo to the outside and gain the appreciation from customers who receive this great gift! 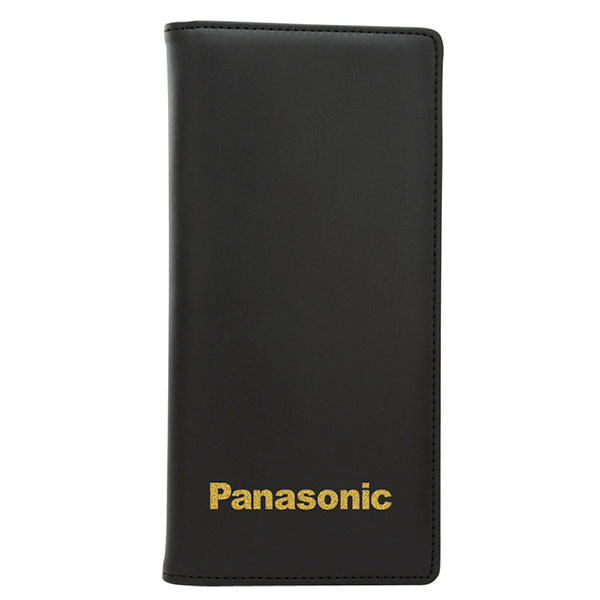 Item Size 6 3/8" x 3 3/8" x 3/8"
Case Dimensions 12" x 15" x 7.5"
Foil & Deboss Combo 4" x 2" 1 color, 1 position imprint N.A.